What's With the Mutant in the Microscope? MIT OpenCourseWare has free AP test prep for Biology, Chemistry and Physics. At Online Learning Fun With Physics, Maryville University has groups of links to other educational websites (free) with topical lesson material and/or videos on physics topics under the headings Motion, Heat and Thermodynamics, Light, Electricity and Magnetism, and Gravity. PowerMyLearning is a free online site that helps you find games, videos, and software by grade level, subject area, standards covered. It has separate categories for science and technology. You can create your own playlists. Dan Heim hosts a weekly blog (advertisement free!) 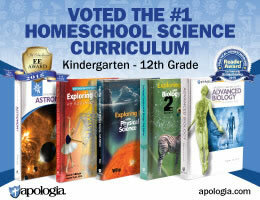 that should be helpful to homeschoolers at junior high level and above. Topics addressed are generally from astronomy, meteorology, and earth science, often determined by current events. Search "Browse All Posts" for brief interesting coverage of many topics, often with links to vetted sites. www.HookedOnScience.org is the website of noted science teacher Jason Lindsey that features a huge archive of relatively simple experiments for free. www.teachwithmovies.org provides free detailed lesson plans for various science topics that use clips from videos. You need to obtain the videos yourself. 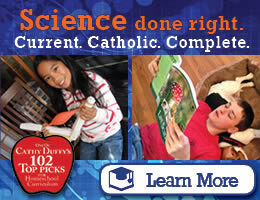 It also lists feature films that relate to science topics but with no lesson plans.